Keeping pets is not very simple as pet always try to follow the owner and at the same time you just don’t want them to enter your private sides or well planned home interiors! What to do to make your dog or cat stable at that time? 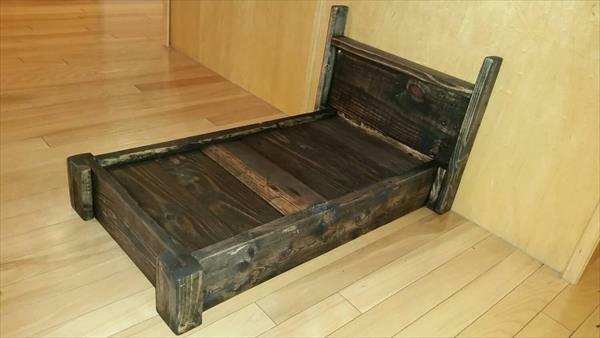 You can simple gain this DIY pallet pet bed that will provide a separate resting place to your dog and will let him follow your while feeling comfortable by sitting on it! This is a free of cost model of pet bed and design is same like the normal we use in routine! 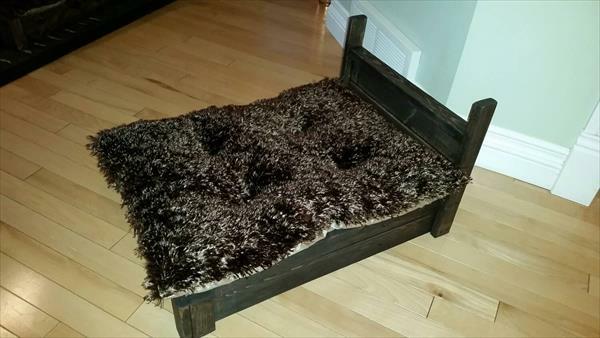 Just like our platform beds, this mini model has been installed just to make your dog feel snug and comfy! Just put over a cushion and start using it at favorite place of your dog ! 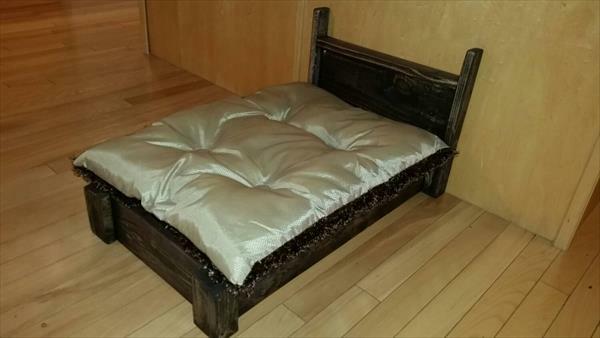 All you need to get some pallets and just break them into pieces if willing to build custom dimensions of this pallet dog bed in your own style!